The masterclass is directed to conductors who want to increase their musical experience and work as professionals in the world of classical music. The course is articulated in n°7 (seven) days of lesson. The lessons with the orchestra will be recorded and at the end of the day the students will discuss with the M° about their performance with the help of the recording. The recording will be given to the students in digital format (USB pendrive or SD memory card) at the end of the course. There will be 6 days of orchestra and 1 with piano, with an average podium time of 90 minutes per student. The organisation and the teacher, by common consent, will recommend the best students to the following institutions: Chamber Orchestra of Maggio Musicale Fiorentino (Italy); Orchestra Sinfonica di Sanremo (Italy); Orchestra di Toscana Classica (Italy); Symphony Orchestra MAV (Hungary); Budapest Strings Chamber Orchestra (Hungary); Witold Lutoslawsky Chamber Philharmonic Orchestra (Poland); Pazardzhik Symphony Orchestra (Bulgaria). The applications will be processed in order of arrival, there is no admission examination, even if we expect a basic knowlege of conducting technique and recommend some experience in conducting professional orchestras. In order to evaluate properly if Florence Conducting Masterclass is a good choice for the students particular situation, we encourage them to send an email or call the organiser before applying. Meals and accomodation are up to the participants. 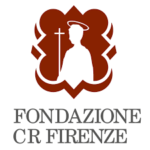 The organisation can offer assistance in finding a proper accomodation in Florence for the period of the masterclass. Prices for a single bedroom range from € 30 per night. The course fee will be payed the first day of the course. The courses will be activated with a minimum number of students. The application fee will not be returned in any case, except the cancellation of the courses; in that case the students will be promptly advised. The partecipaton at the courses implies the full acceptance of the present rules. Artes Association will give prompt notification of any modification of the rules that may occur. For any legal action the Italian text of the announcement must be considered. The competent forum is Prato’s.